The drum is the oldest instrument in the world and can talk to every heart. When the magic of rhythm and silence unfolds you discover a world where words are no longer needed. - Teambuilding Drum Circles for Businesses. Would you like to sing with more confidence and learn a good singing technique? Is your child singing along with the latest Disney movies? Pashyo is an inspiring vocal coach who can assist you to develop your voice, develop a repertoire and work on your stage presence. 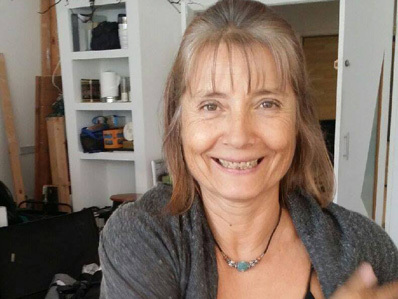 She loves to teach broadway hits, jazz standards and pop songs and is great with kids. 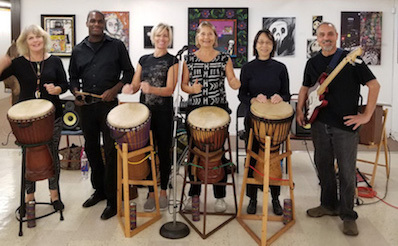 SangomaBeat weaves West African rhythms with ethnic vocal arrangments and harmonic guitar riffs into tribal world grooves. SangomaBeat music means ethnic rhythms and songs, a multicultural vibe, dance and audience participation. 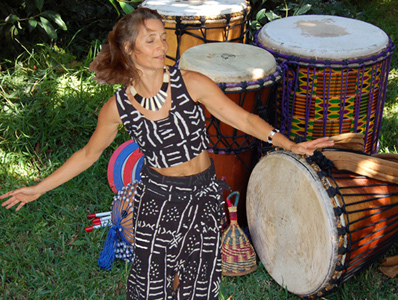 To book private drum circles, shows or regular music or dance classes please call 310 940 4270.